The teaser video is here! And it hasn't got any direct shots of recipes or the like (but then we weren't really expecting that, hope though we did) because it's meant to show people the 'cool' things (no text or stats or the like) to see during the event. There are candy canes - large ones - protruding from the ground. 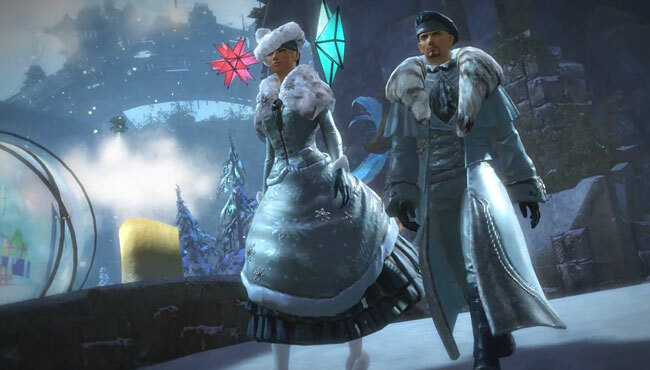 In the video they look to be in Lion's Arch so are most likely decoration only but they did release candy cane as a resource in GW1 - it's likely in GW2. There are super-fine looking fur outfits. Town clothes I wager. Gem purchase only. The price of gems will be soaring - I'm not sure if it'll reach a point where investing now will get you more after the fee but if you bought any gems the past month offload them for gold now (ofc you may want to buy some goodies) and repurchase post event. There's a new jumping puzzle :D and it looks fiendish. The fellow behind the Mad King's clock tower DID say he wouldn't put a timer on any puzzle like this in the future so I guess there's that to hope for if you had issues during Halloween. Tixx and Toxx look like they roam Tyria going to the main cities (the festivities aren't confined to Lion's Arch). 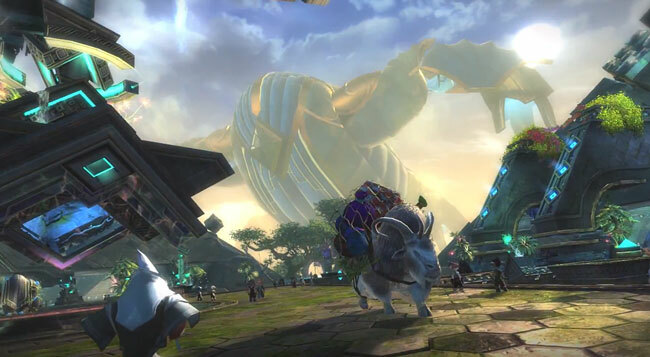 This may be the breadcrumb trail-esque portion of this event or the event may be enjoyable in any city in Tyria. Also, the vehicle they use is badass in the extreme. The Mystic Forge looks... interesting (read - awesome) and we can bet on new forge recipes pretty safely I think. Glacial cores and lodestones may spike in anticipation of this. I can't say for certain if they'll be in the final recipes. We already know to sell to the speculative crowd pre-event. Tixx's lab is certainly new dungeon content. Item skins will likely drop here (like the Mad King's dungeon). In other words, more of the same carrying on from Halloween! And there's nothing I can find bad about that :) ... well, except for the amount of space I've devoted to candy corn, but hey! I invested in snow truffles a while ago. Not sure where they wanna go with the cooking recipes. 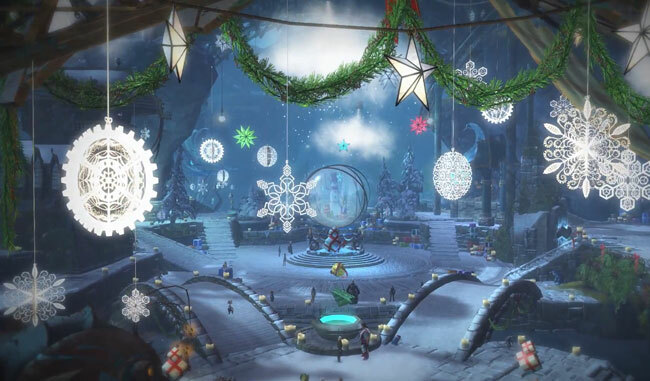 So the focus is on toys for Wintersday...soooooooo wood then? Perhaps the massive stockpiles of Elder Wood will be utilized? Thoughts? From the reading, its says that there will be culture specific toys for each visit to the home city of all races, maybe there's something to get from that info? Hi, i know this is not exactly the place, but say i have around 8000 gems, i bought before halloween so got them at a decent price. I'm looking for an investment. I know nothing about economy part from what i read here and there, but i know that with gems you make a long term "safe" investment. So say i wait for a spike during the X-mas event and sell all my gold, then i wait for the slump spend all the gold i've made in new gems, and do so at every events ? I'm sorry if this seems noobish, or sketchy, but English is not my native language, and i truly am a begginer in this sort of things. So i'm looking for a way to invest what i made and earn from it. I can't stand grinding anymore, and with my job this kind playstyle is just impossible anymore. Anyhow sorry for the (very) longpost and i hope someone can give me some hints ! That definitely works - it's a long term kind of trading. Demand for gems will rise and fall and so long as you note how much you invested and how much they're worth when selling (takes fee into account) you'll increase your money reliably. There are quicker ways and there are more in depth ways but gems work - it actually helps if you're pressed for time to get into a market where turnaround is on a long time scale. Thank you for your quick answer ! I'll note everything to keep track of how much i invest, and how much i win obviously. But in order to do this efficently, do i need to be able to predict Spikes and Slumps so i can max the profit ? Also i can see that there is quicker ways to earn golds, but i am not sure that i have to knowledge to do that, also i'm on EU servers and i guess this changes some things. But if you have any suggestions for guides or post i'll try to make sens out of it ! Thanks for your kind response Thundergore. Just a note, but all servers are connected to the global trading post. You might experience different short term changes due to your timezone, but ultimately we are all on one market.